Pig jaws are used in the education of dentists. The pig´s molar and premolar teeth are very much the same like in humans, so that various procedures in dentistry can easily be practised. This plastination of a pig´s head allows further general insight that are interesting for the dentist and oral surgeon: the path of the Maxillary Nerv, the structure and position of the Parotis Gland and various topographical relations. Besides complete head sheet plastinates like this one, most common tooth preparations that I am doing are thin ground teeth with vision of the pulpa nerves and vessels. 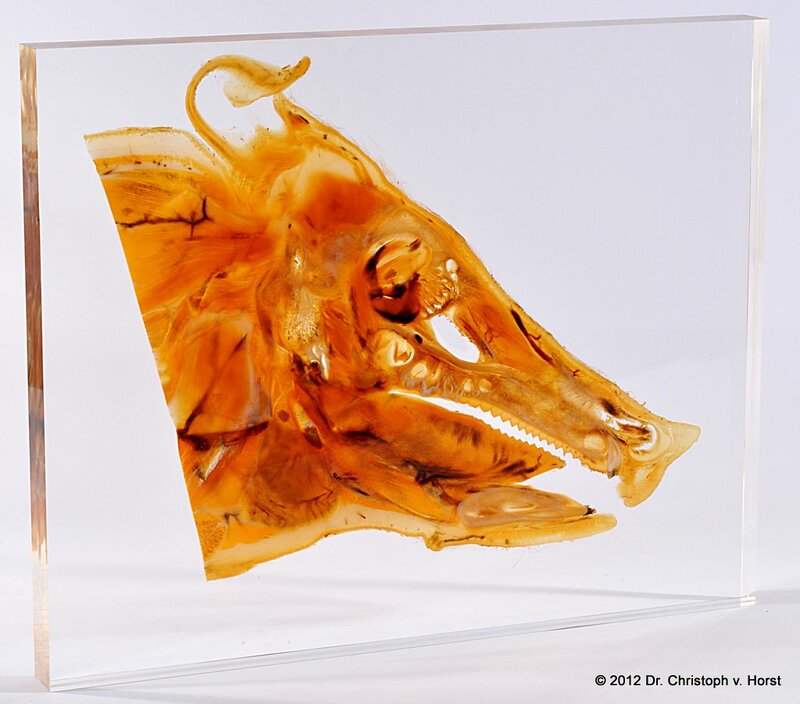 Furthermore parents love to have their children´s milk teeth / baby teeth embedded in acrylic.